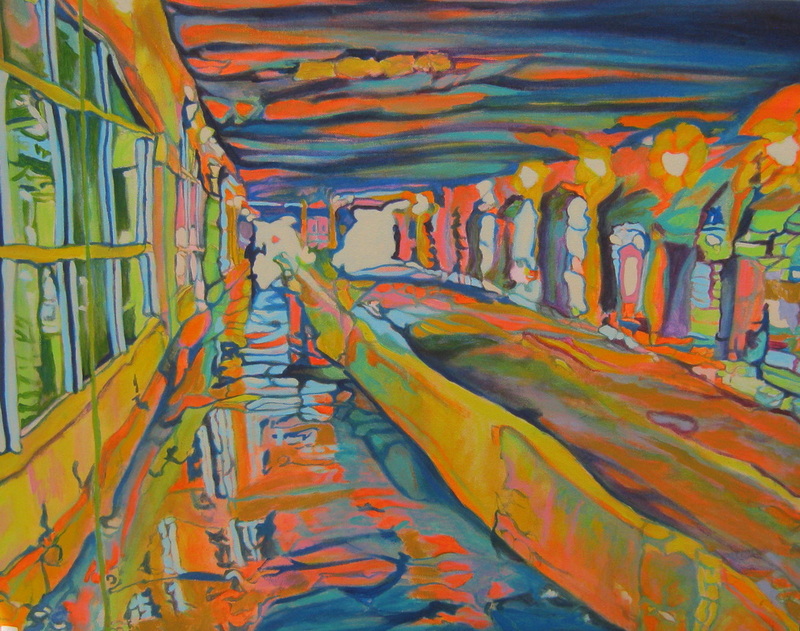 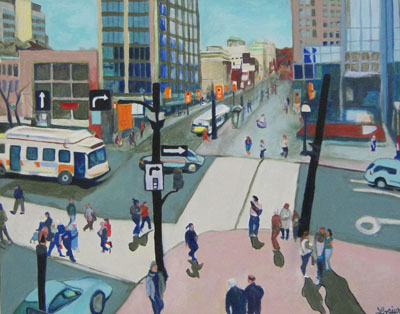 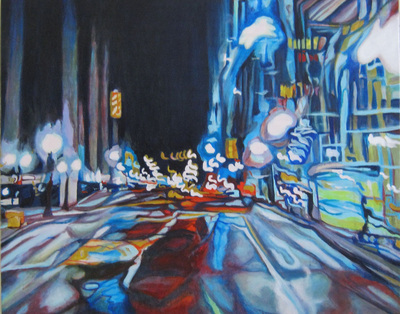 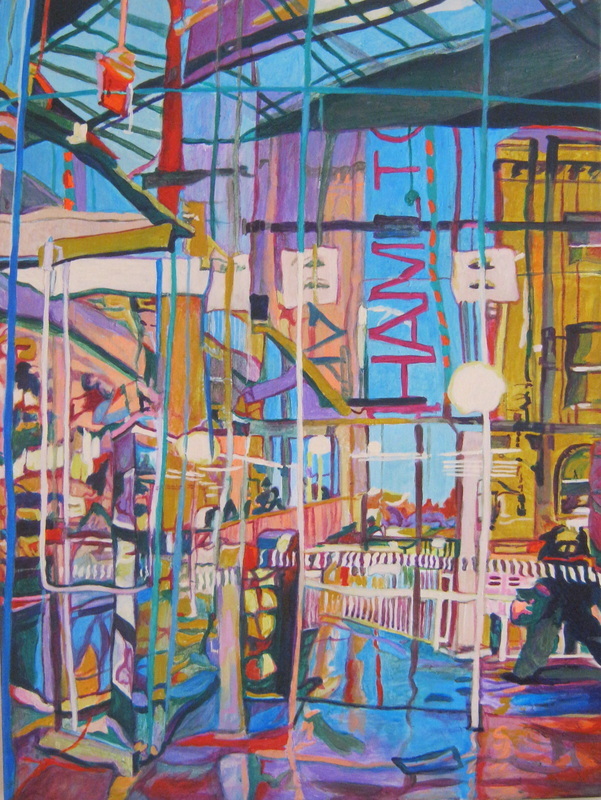 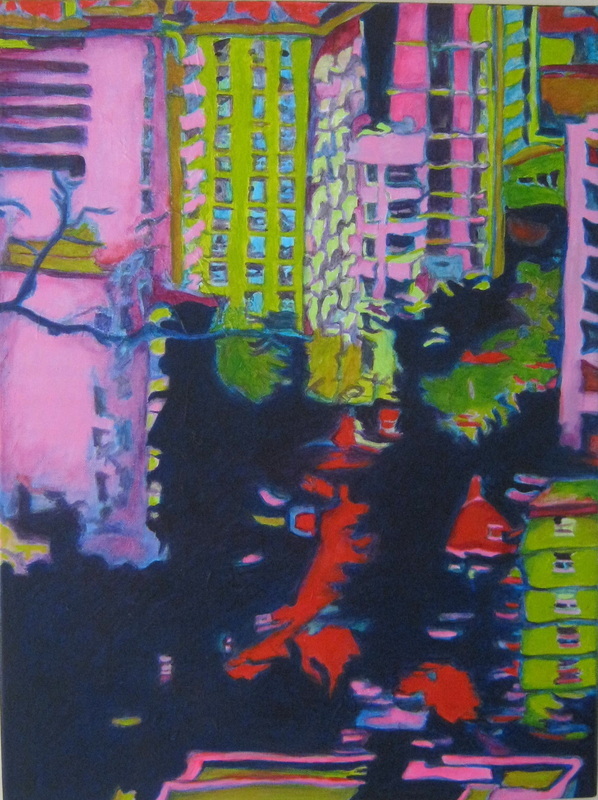 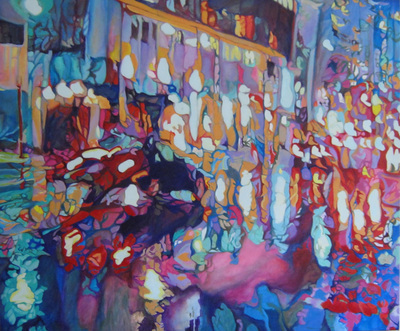 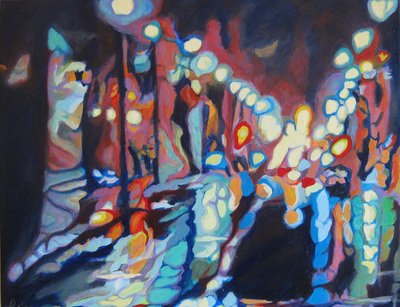 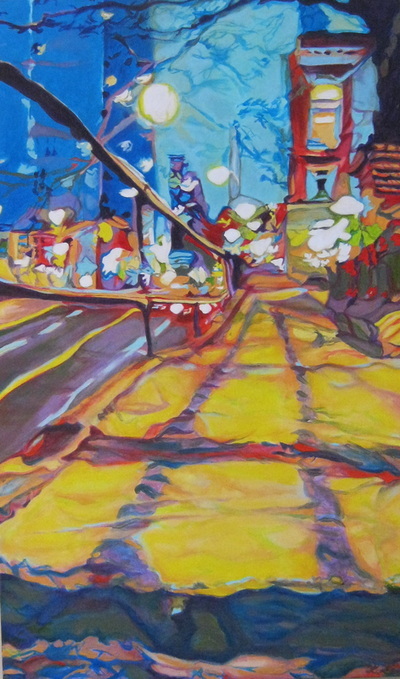 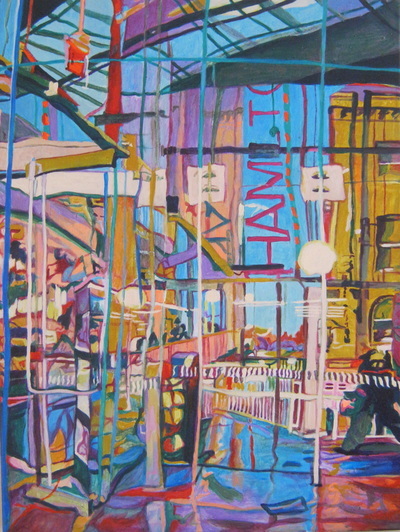 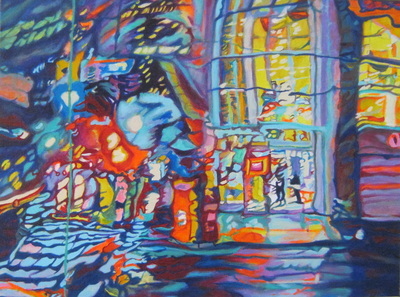 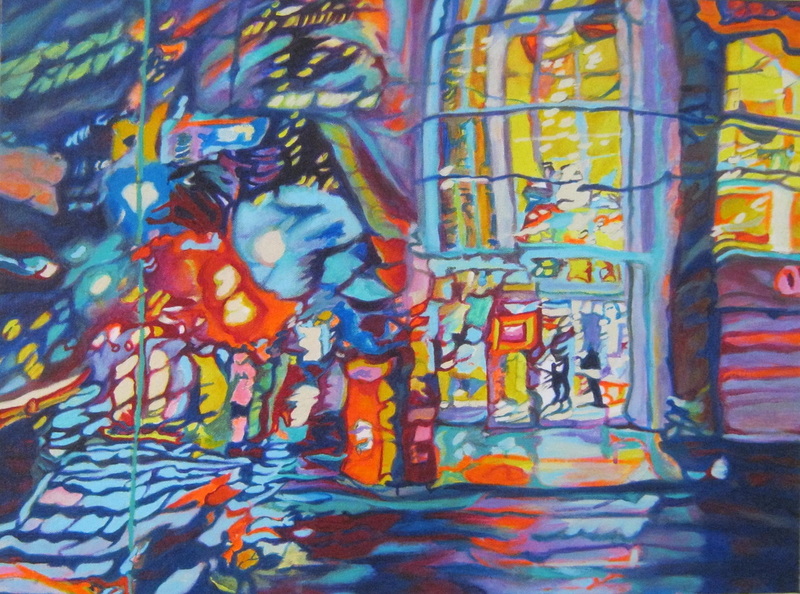 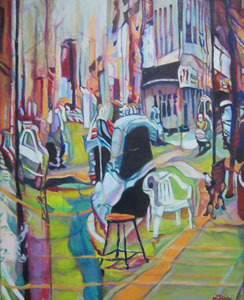 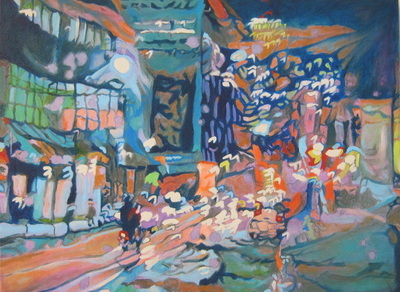 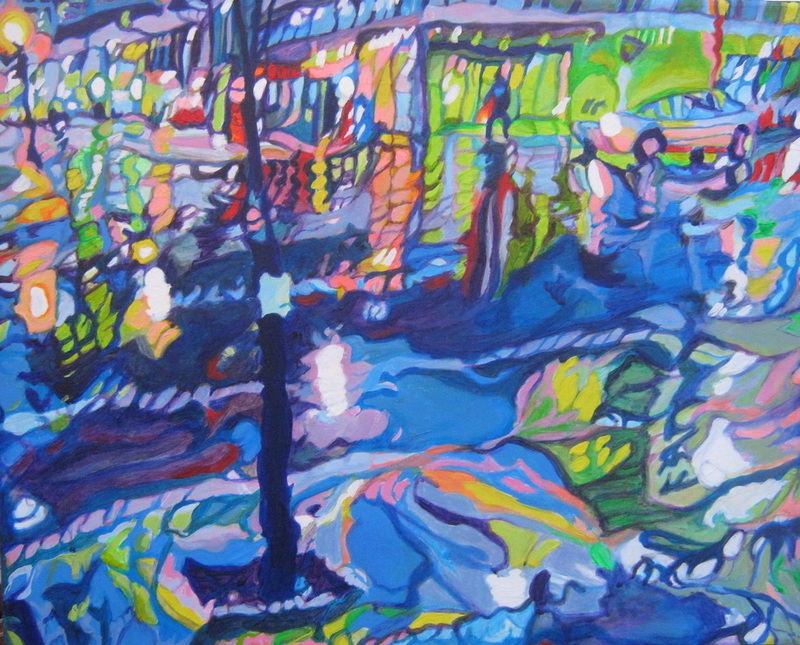 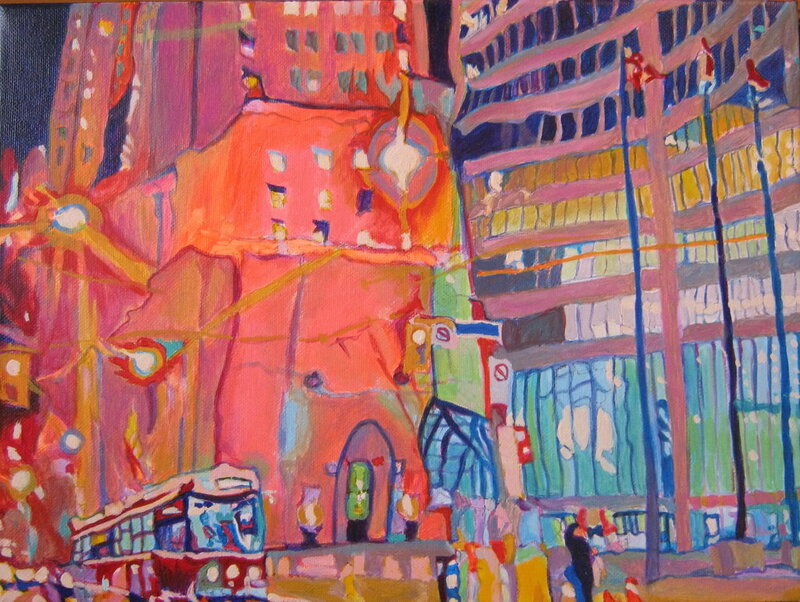 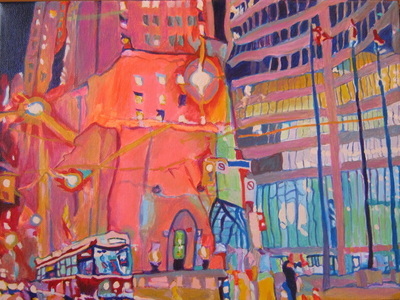 Claudette Losier in this series of city urban scape paintings is abstracting the inner and outer reality revealing reflections of nature and memory to evoke a sense of place. 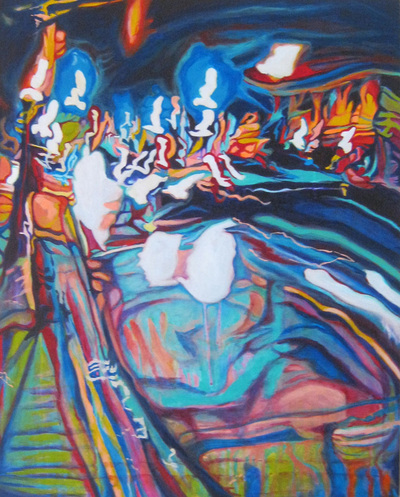 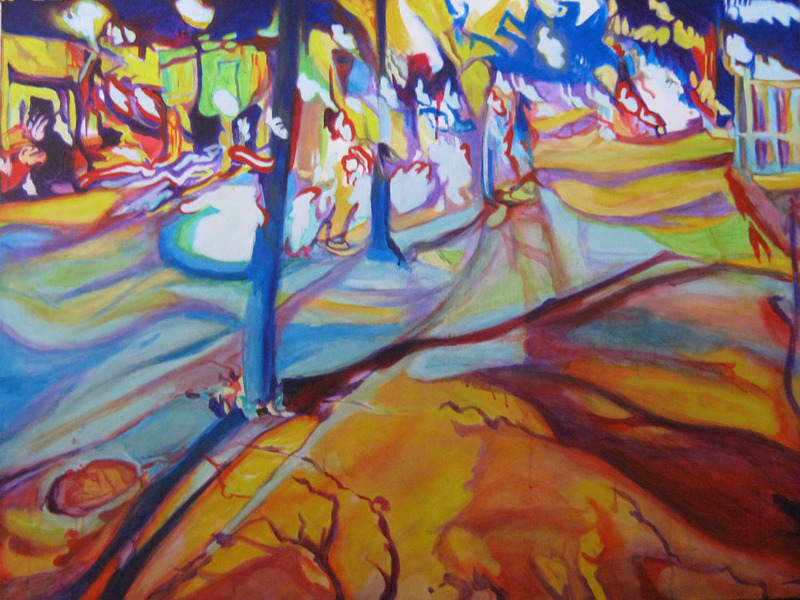 Claudette’s paintings are rooted in the physical world but are altered through the process of layering until forms emerge from the boundary where light meets the dark indicative of their underlying essence of energy. 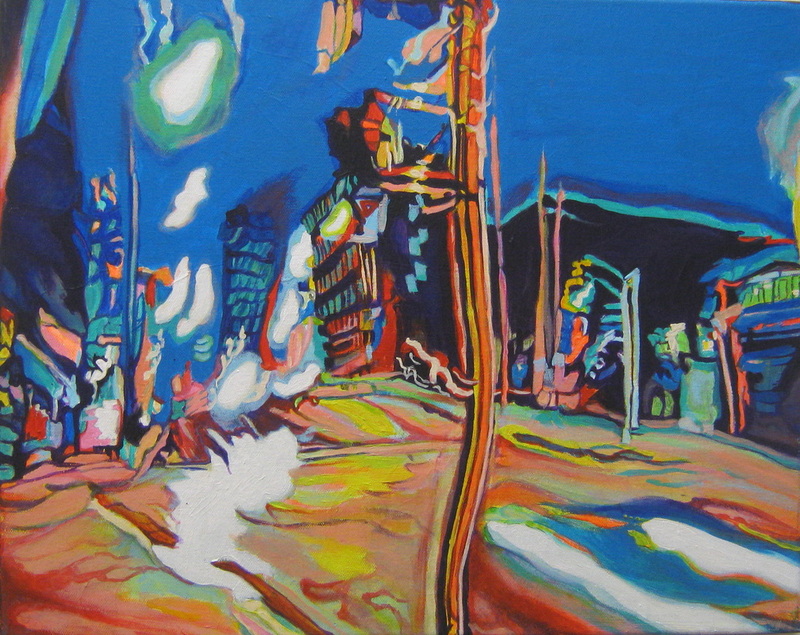 These paintings border on abstraction of form, like a surreal abstract impression of the urban scene, that gives a dream scape quality that could change at any given moment like life itself always in the process of change. 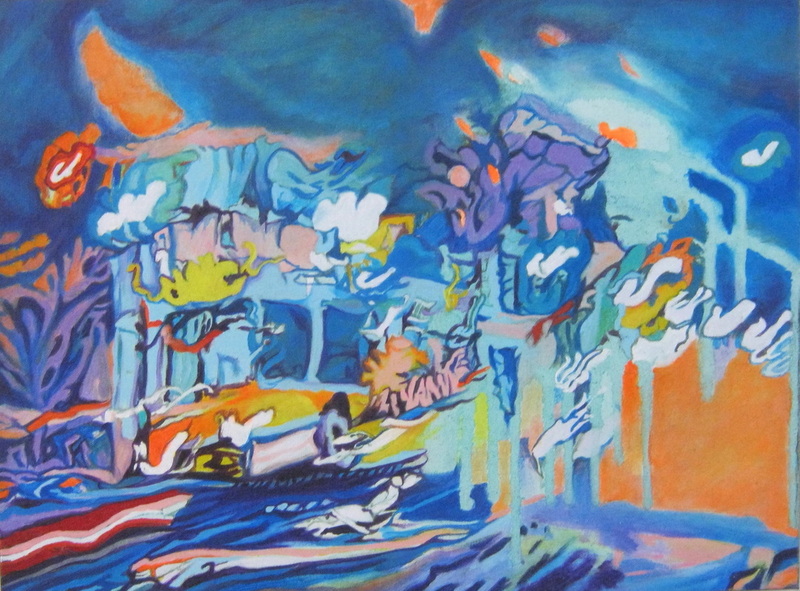 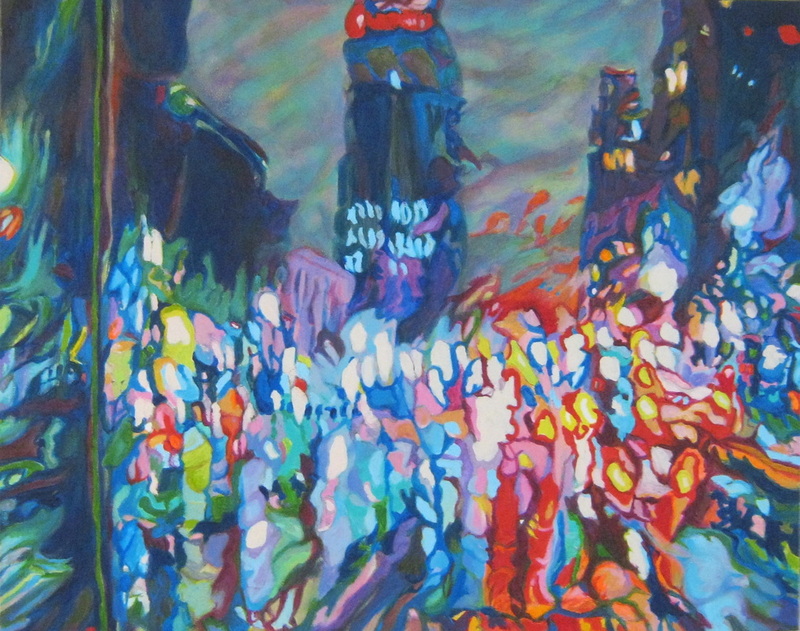 Counterpoint Opusculum 2015 acrylic 20X16, SOLD! 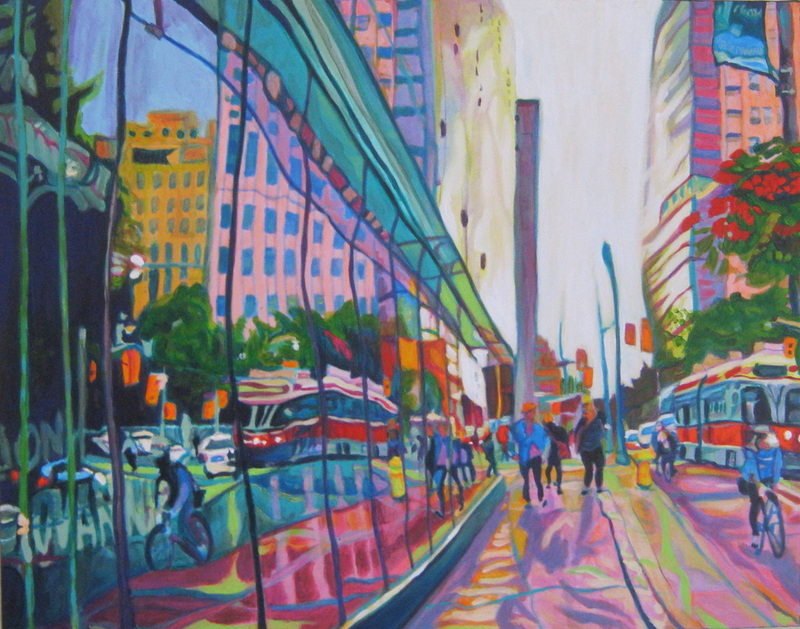 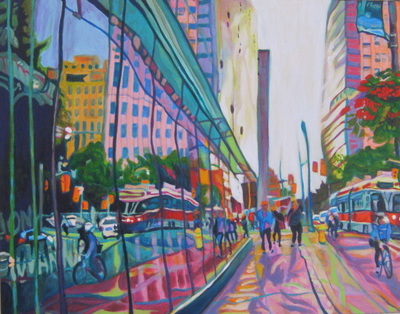 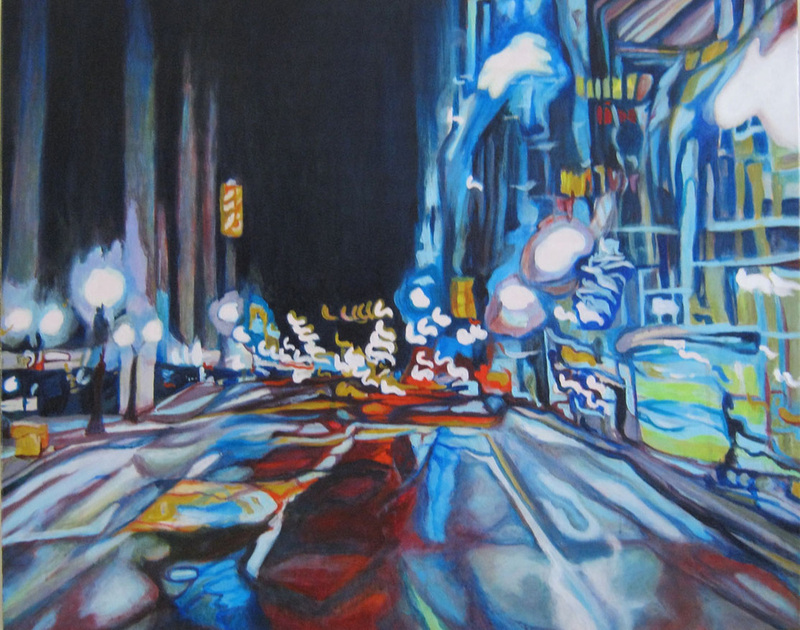 A Long Way Up 2013 acrylic 24X48, SOLD! Crawling Revisted 2014 acrylic 30X40, SOLD! 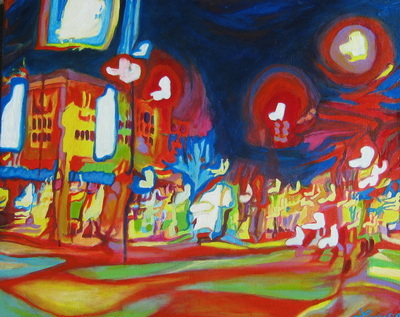 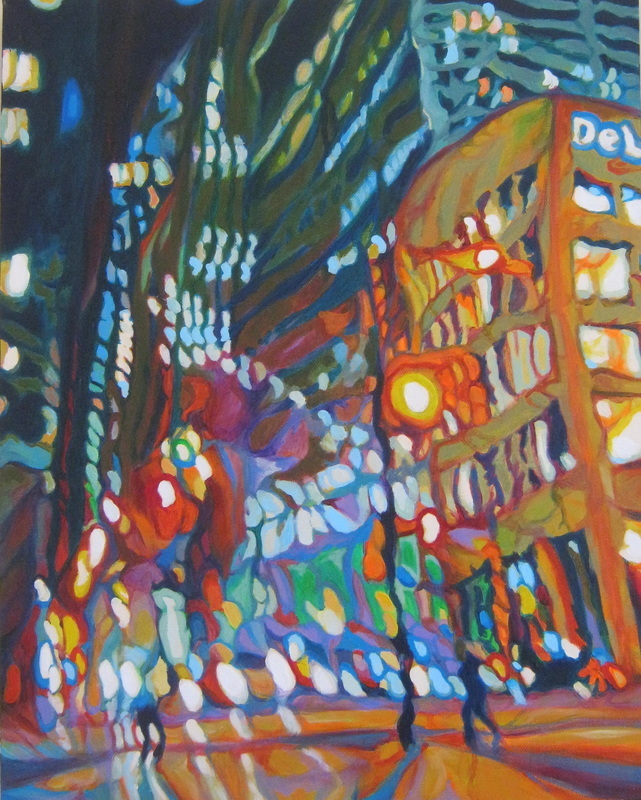 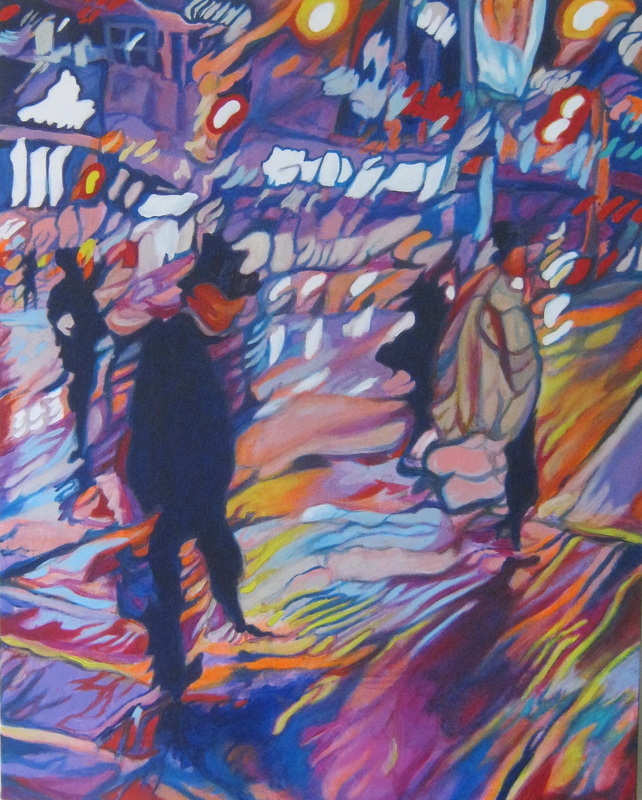 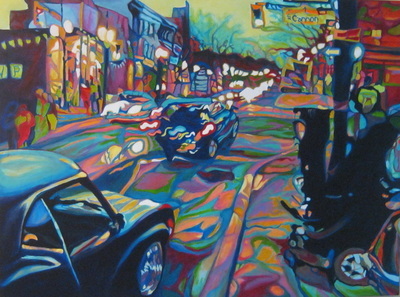 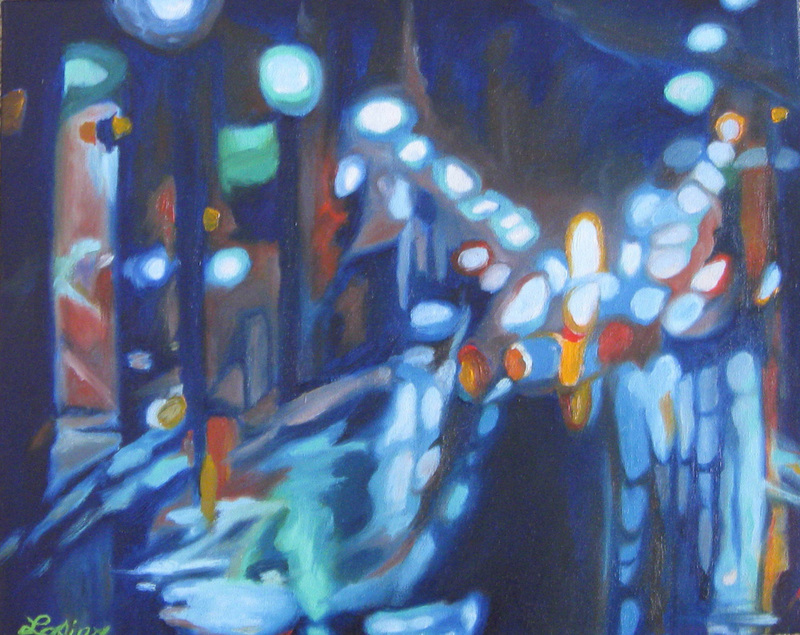 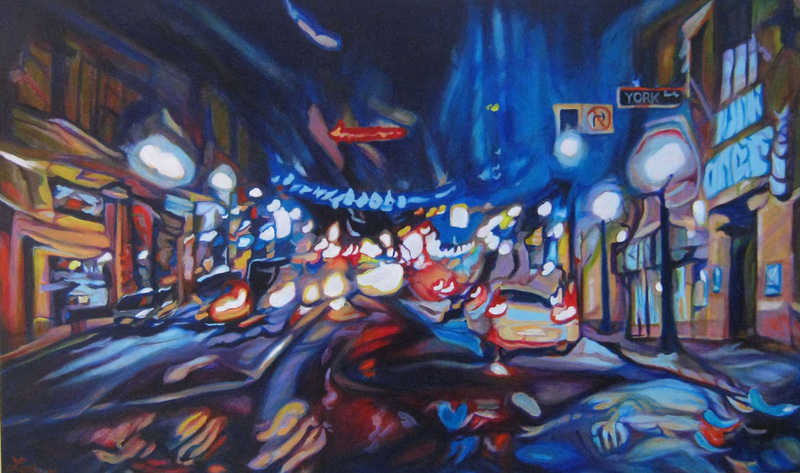 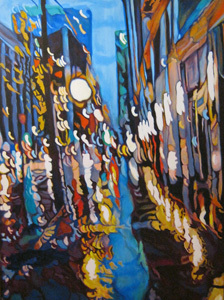 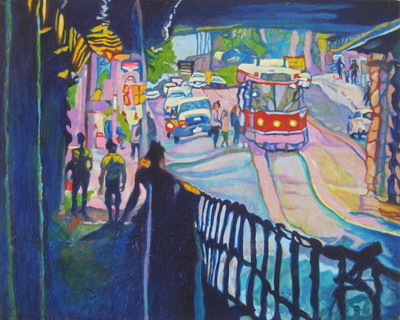 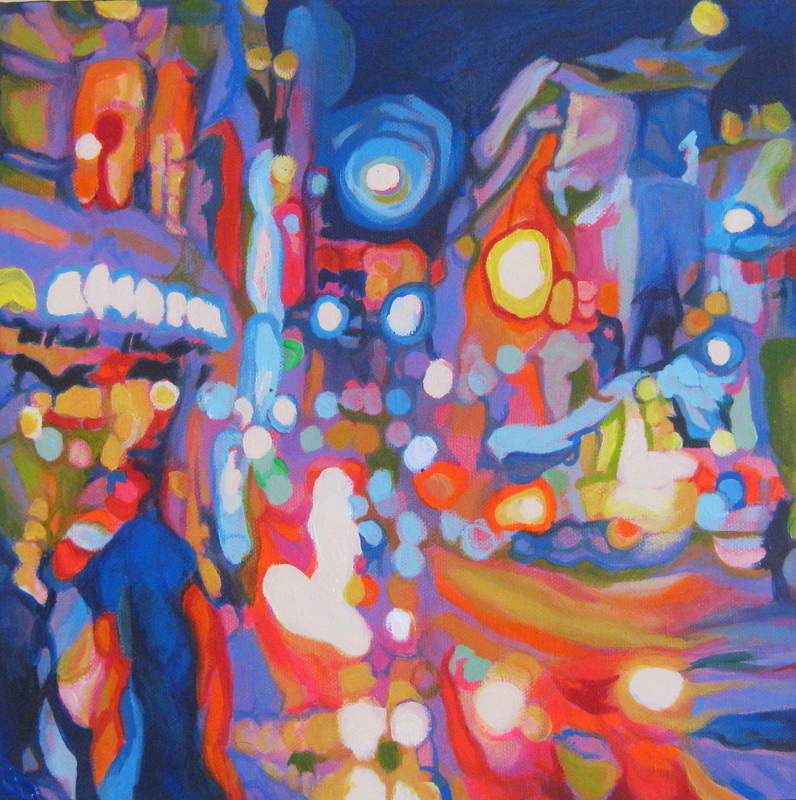 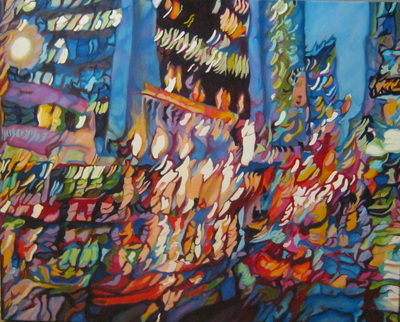 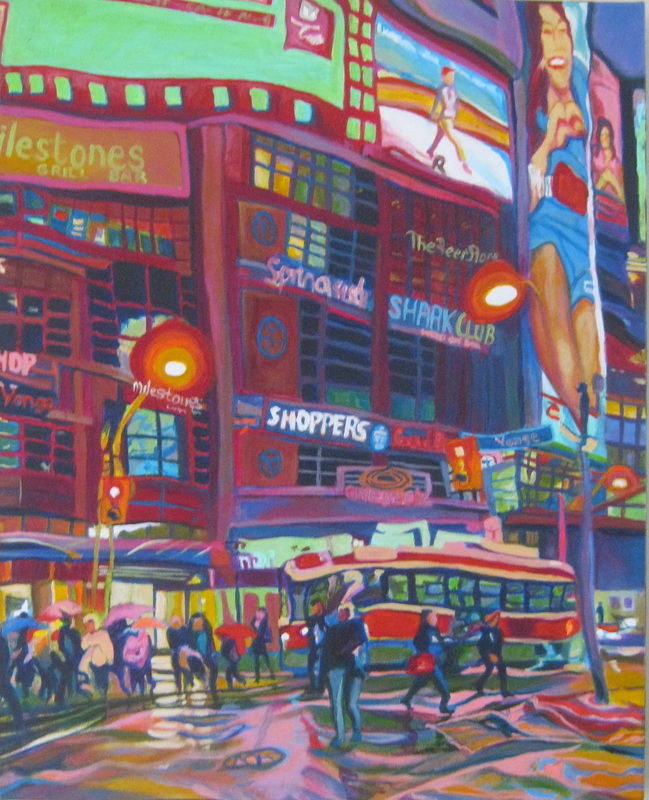 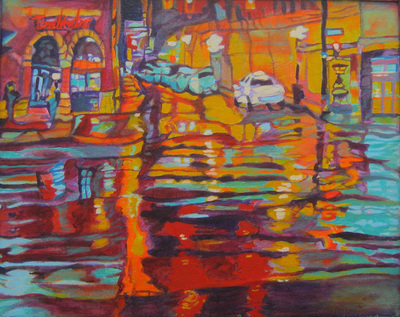 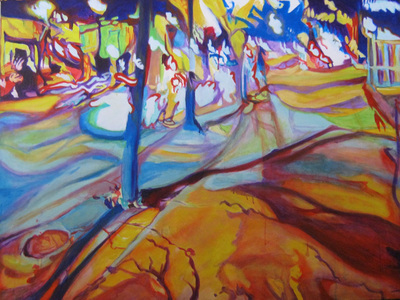 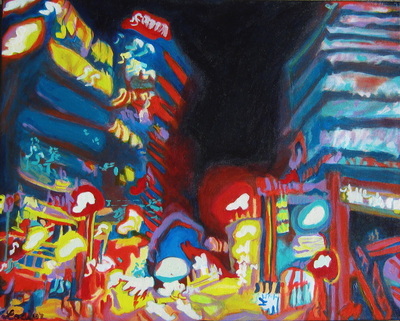 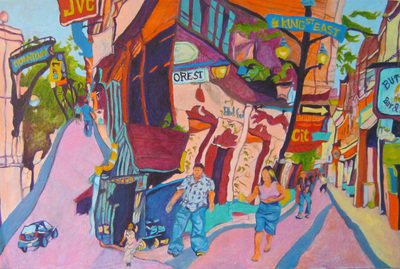 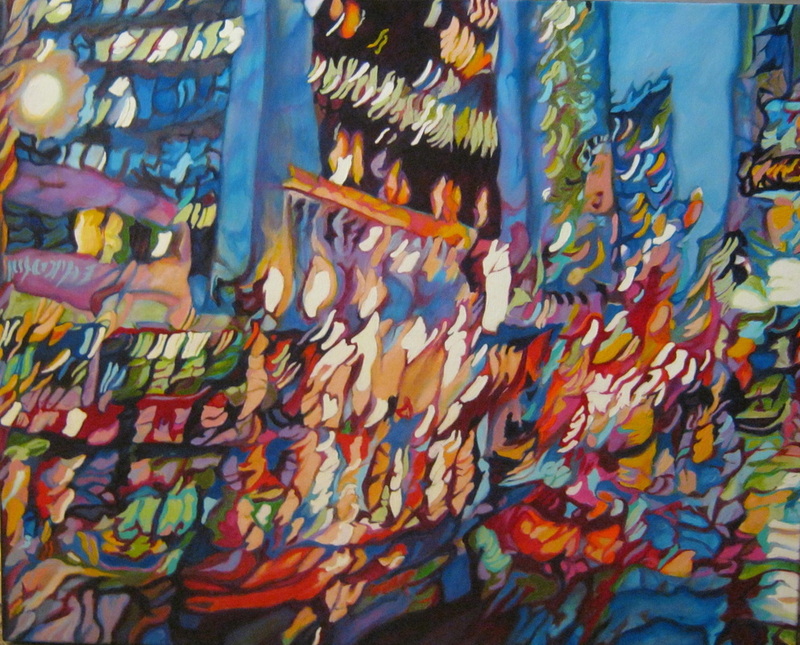 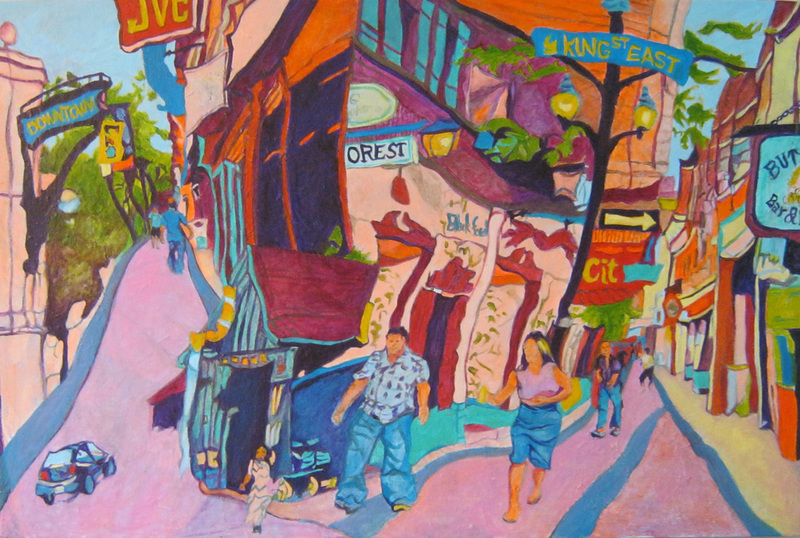 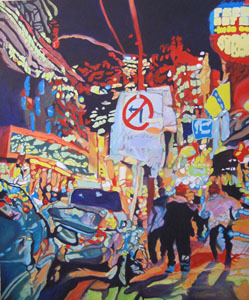 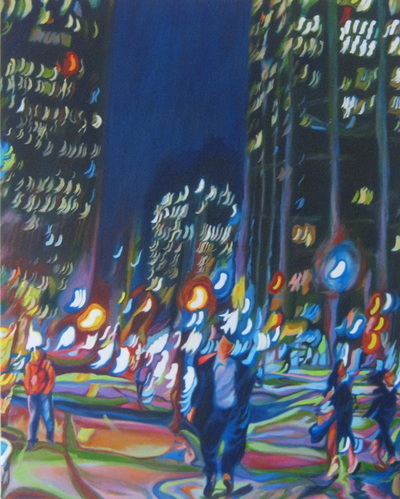 Coming Around and Going Around Town 2012 acrylic 24X30, SOLD! 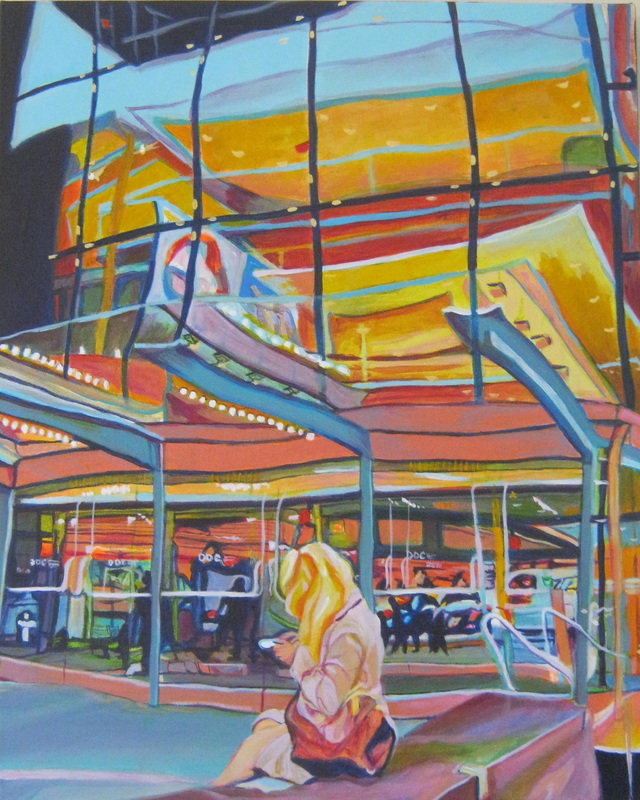 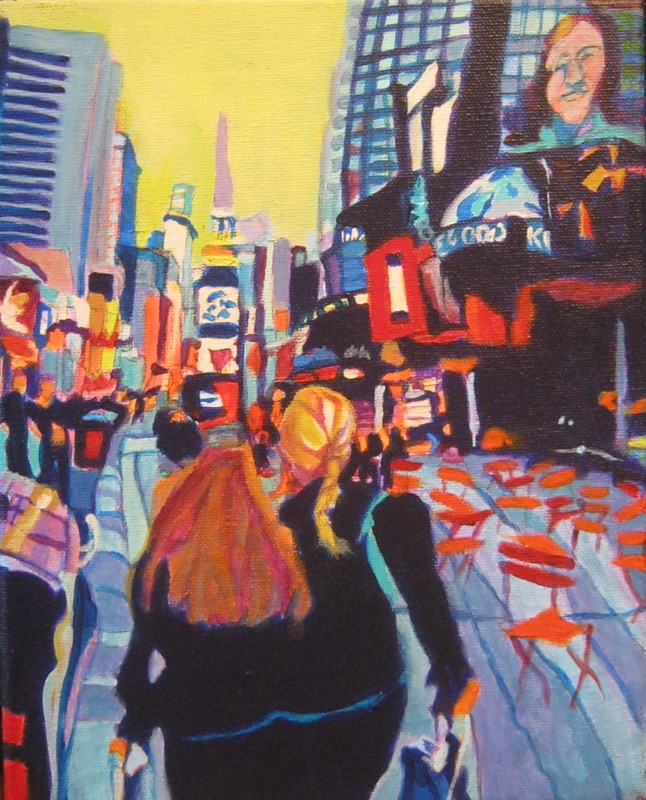 Macy's 2014 acrylic 12X16, SOLD! Next Stop 2014 acrylic 16X20, SOLD! 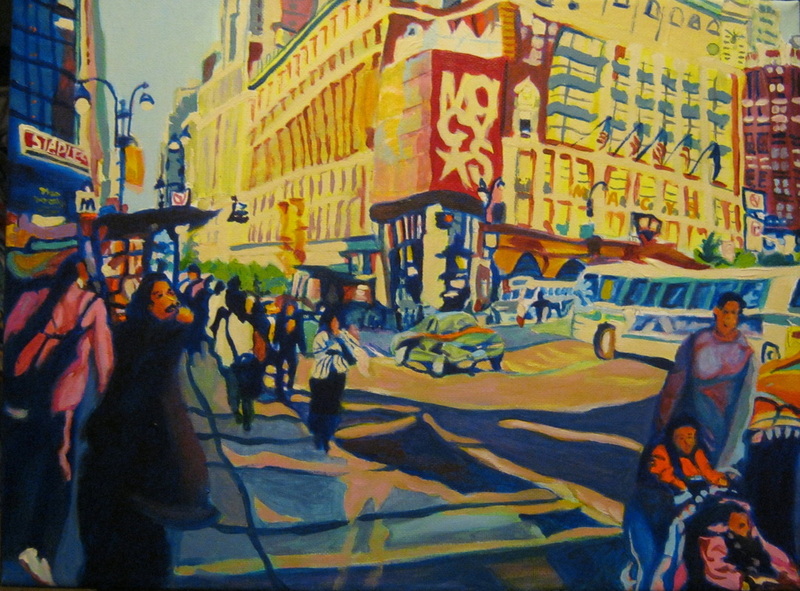 New York Shoppers 2015, 8X10 , SOLD!